As recent as five years ago, your options were simply shared hosting, virtual private hosting or dedicated hosting. Now, each of these has been infused with cloud computing technology. 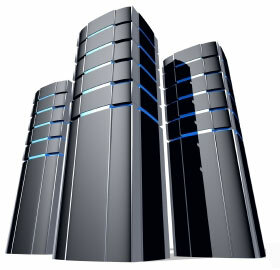 Business owners must now decide if they need to invest in this new technology or remain with older hosting solutions. This makes an already difficult decision even more complex. Do you need an expensive traditional dedicated server or a cheap cloud VPS? Will you survive with shared hosting or do you require a traditional VPS? Before this important decision can be made, it’s vital that any prospective customer understands the differences between cloud and traditional hosting plans. Traditional Hosting: Whether an account is on a shared or a dedicated server, traditional hosting means that the entire infrastructure and resource pool is limited to a single server (with the exception of load balancing dedicated server options). While this has worked well for countless websites, it does create an inherent problem: if something happens to the server hosting the website, the website goes down. A traffic spike, hacking attempt or technical malfunction can bring down a site immediately. Cloud Hosting: Cloud computing is a recent advancement that users an entire cluster of servers to carry out a single task. This provides a degree of flexibility over resource allocation and data usage that was never before possible with traditional hosting plans. Instead of a single server being responsible for everything, that responsibility is shared throughout the entire data center (and sometimes multiple data centers). 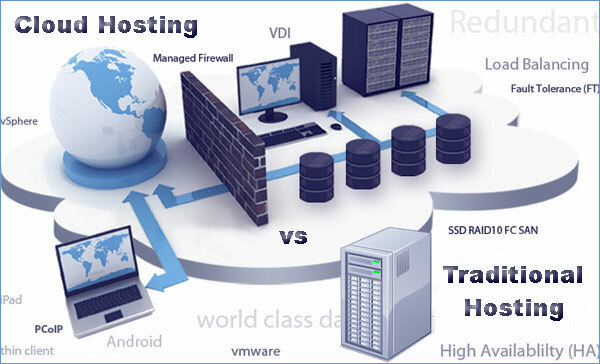 The biggest improvement that cloud hosting provides over traditional hosting is scalability. 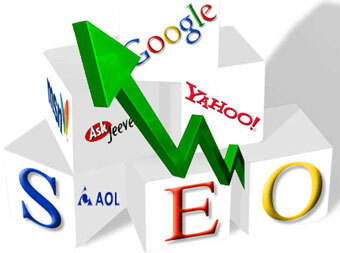 Many websites start with low amounts of traffic, however they ideally grow over time. If this growth is experienced on a traditional type of hosting plan, you will have to upgrade. This can often mean a messy server migration. Conversely, with a cloud hosting solution, you can simply purchase more of a given resource. You can easily acquire more bandwidth, CPU usage or RAM. Many cloud hosting plans offer this as an automated adjustment should you surpass your current plan’s capabilities. Another distinct advantage of cloud hosting solutions is data redundancy. Your data will never be stored in a single location, but stored throughout multiple locations. If a server with your data crashes, your data will remain on another server. This is not typically available on any traditional shared hosting plans unless you are paying extra for backups. Should I go for the Cloud or stay Traditional? While it may sound like cloud hosting is the clear choice, it does have one distinct disadvantage: price. Cloud hosting will typically cost more than a traditional hosting equivalent. This is due to the increased infrastructure and resource pool available to every client. This means that every business must examine their budget and compare multiple hosting solutions. When it comes to cloud hosting, you will be able to find relatively cheap cloud VPS options. However, be careful of extremely low prices. Cloud hosting technology is still quite new and many subpar hosting companies claim to offer this technology when, in actuality, you’ll still have a traditional hosting plan. 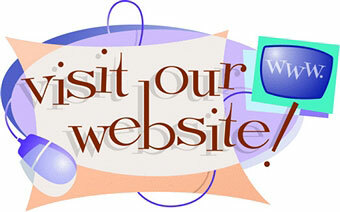 Before making a purchase of any hosting account, research the hosting company intensively. Discover how many people have written about positive experiences, find their BBB rating and examine the company’s reputation.